If the Urdu language has actually given birth to any people’s poet after Nazeer Akbarabadi, then he is Habib Jalib, who was born 90 years ago on March 24. 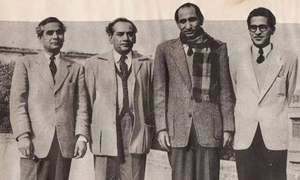 Like Nazeer, he too was a people’s man, his lifestyle; manner of thinking and feeling; his values, affections and hatreds were of the people. He translates the sorrows, pains, wishes and hopes of the people in their own language. 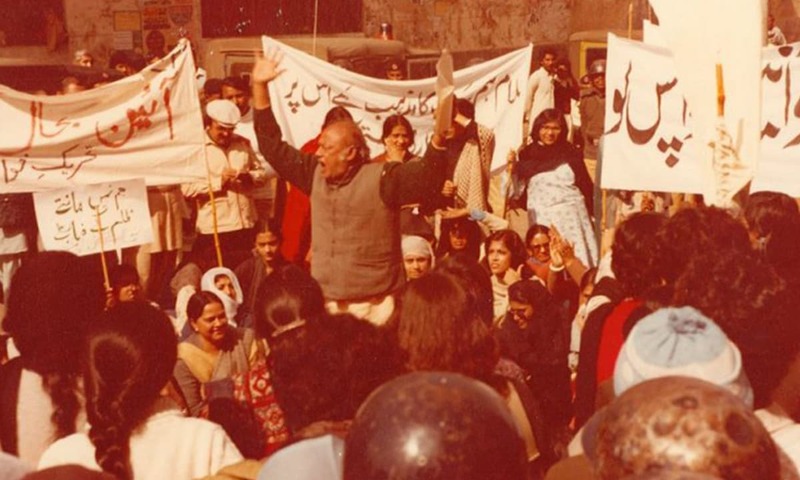 Thousands and millions of people adore Jalib and become uncontrollably emotional while listening to his verses; their adoration and madness is not unreasonable. The crime of Prometheus, the hero of Greek mythology, was that he had taught man the use of fire; and in so doing, he revealed a divine secret to men. For this crime, the gods had Prometheus tied to a rock, where a vulture would eat away his flesh all day. Despite this agonising punishment, whenever the gods would ask him to seek forgiveness and rid himself of this torment, he would say that he accepted this agony but that their servitude was unacceptable. Now this is a secret, a fable otherwise the disposition of consciousness and awareness never comes from the court of gods. In fact, man has always reached the summits of understanding and perception with the help of his experience, observation and organs of mind. In every period of history, one finds such audacious souls who taught us the lesson of emancipation of self and sharpened the flame of our social consciousness. In this respect, the dictatorship of Ayub Khan will always be memorable for the way that Justice Kayani and Jalib emerged in this dark period. Whenever the true history of Pakistan will be written, the world will know that when others felt afraid to breathe in the atmosphere of fear and dread, they circulated the blood of life within the sinking pulse of the nation. Extinguishing the thirst of thorns became the fate of Habib Jalib’s life; and narrating the glad tidings of a remedy to sorrow became his habit of existence. If he cried with one eye and laughed with the other, both his crying and laughter were with reference to the people; he cried at the sorry state of the people and laughed for their bright future. His poetry is a call of defeat and also a defiant shout of passion for the truth. Sometimes I wonder from where this dust-dwelling dervish got this daring of defiance; what is that power which disposed this kind-hearted, gentle-tempered man to fight evil and admit truth? Actually, that power was the love of the people and that animal spring which granted spirit and passion was the power of the people. 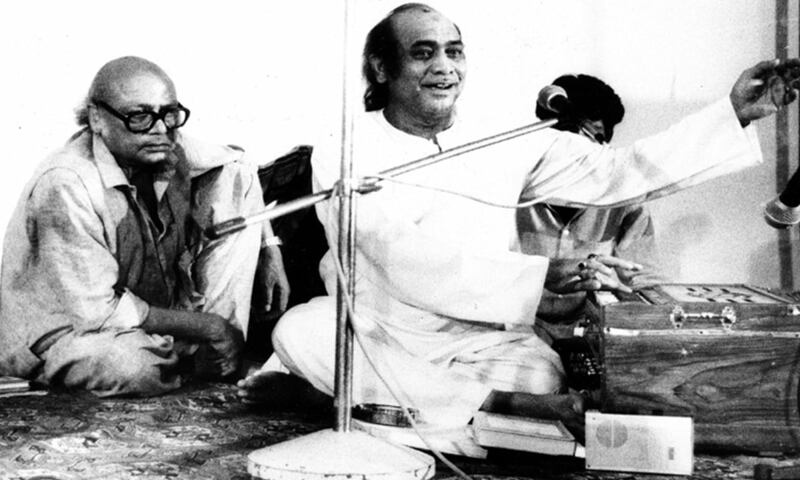 Habib Jalib had devoted his personality and poetry to the people. His poetry does not walk using the crutches of impressive symbols and metaphors. He protests against social inequalities, and does so openly. He does not wrap it up in velvet, in that according to his faith, any conversation about the observation of truth must be direct and not hidden. His poetry is the poetic history of Pakistan, an album in which he has sketched every prick and palpitation of the times very sincerely. What greater acclamation could this poet hope for? The writer is a Pakistani social scientist, book critic, and an award-winning translator and dramatic reader currently teaching in Lahore. He is currently the president of the Progressive Writers Association in Lahore. Habib Jalib Sahib was great poet of resistance, who always stood for the truth!